As data streaming continues to balloon out of control, managing the processing of that data is becoming more important and more difficult. Data buffering is gaining ground as a way to speed up the processing of increasingly large quantities of data. In simple terms, a data buffer is an area of physical memory storage that temporarily stores data while it is being moved from one place to another. This becomes increasingly necessary in data centers, autonomous vehicles, and for machine learning applications. The challenges with these applications are advanced signal equalization, and increased capacity and bandwidth. Data buffering techniques — either as a discrete chip within the memory module, or integrated into an SoC — help make this all possible. The data buffer chip was conceived during the development of DDR3. It captures data to and from the CPU and the DRAM. 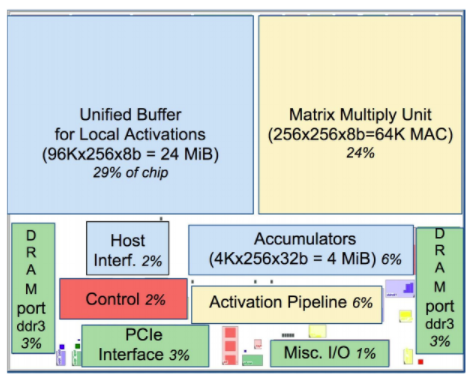 Buffer chips manage read and write commands from the CPU to the DRAM. When buffer chips are used, it is known as a load reduced dual inline memory module (LRDIMM). Those chips boost total memory capacity at the same performance and speed. Data buffering chips target different applications, which vary from being used for memories, and within memories, specifically in DDR3, DDR4 and DDR5, in addition to the next wave of memory technology, which includes high-bandwidth memory (HBM), according to Rishi Chugh, senior group director for product marketing for USB, PCIe and SerDes in Cadence‘s IP Group. According to Chris Rowen, CEO of Babblabs, software architects look at data buffering in at least three ways, especially in real-time systems that have data streaming in and results streaming out. And third, buffering may be inherent in the algorithm. “If an FFT (fast Fourier transform) is required in a speech processing system, for example, the range of frequencies to be handled and the sample rate dictate the size of the FFT. And that whole FFT block of input data is necessary to create even the first bit of data output. As a result, the block sizes in the algorithm directly control the minimum latency for processing in real-time streaming applications. So buffering is a two-edged sword. Deeper buffering typically allows for more sophisticated algorithms and more efficient computation, but it inevitably hurts system latency, which can be equally important, especially in safety-critical systems and user experiences,” Rowen added. Fig. 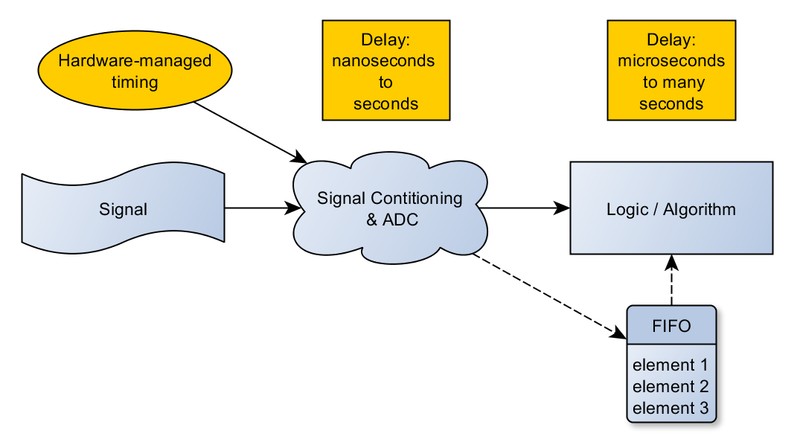 2: Buffering options to improve throughput or lower latency in FPGA architecture. Source: National Instruments. In every application, there are tradeoffs to be made, and one of these is whether to implement the data buffering as a discrete chip or integrated within the SoC. However Rambus’ Cai noted that the physical layout of the DIMM industry standard specifications require a chip rather than an IP block. Integrating the data buffering function into the DRAM negates the main purpose of reducing the memory bus load, as you will still have the same amount of DRAM chips per DIMMs. In other words, including data buffer chips as an IP block would not increase DRAM capacity, he said. Therefore, designers need to keep in mind that signal integrity (SI) is critical in DIMM design and proper SI methodology needs to be followed with placement and routing of signals to and from the data buffer chip to the host and DRAM. Crosstalk, power noise or reflections from a poorly designed system all will impact the max speed in which LRDIMMs can operate, Cai added. This means the system architect must look at the management features that need to be enabled inside the data buffer, including the specific RAS features in terms of ECC correction, such as one- or two-bit correction, and the algorithms associated with those. In addition, when looking at the design from the perspective of the hit rate of the memory, the system architect must keep in mind not only the hit rate of the memory, but what is connected to it, and what the data rate is, including how many transactions the data buffer has to tolerate in a mainstream operation. A third consideration is the width of that particular data buffer. Is it 64, 128 or 256 bits wide? And how is the buffering within the data bits taking place? Then, in terms of the slice management of the buffer, at what resolution can it support for the memory or for the data that has been transitioning within the data buffer? IoT ‘garbage collection’ is another application area where data buffering chips are being used, because IoT applications keep gathering data over a period of time and then use the data buffering model, where the data is collected. After a certain period of time, the data is flushed out. There is no constant flush of the data, however. Following edge computing, the data is collected, buffered and kept. Then, at certain intervals of time, the data is flushed and sent to the central CPU or central server. The reason it is done this way is so that all the data will be flushed out at one given time. That way the servers can get the holistic view of the entire condition based upon all of the data collected. That can include a specific piece of farmland or an entire metropolitan area. But if the view of that data is too narrow, it will not provide clear or deterministic output. And while it is most commonly done on streaming applications and data coming from sensors, there are other uses. In machine learning, for example, it can act like another level of cache. “There, you’ve got pure digital and just having the data you need at the right part in the parallel hierarchy is going to be an important consideration,” Allen said. Finally, data buffering chips are designed on bleeding-edge nodes, which brings additional considerations.